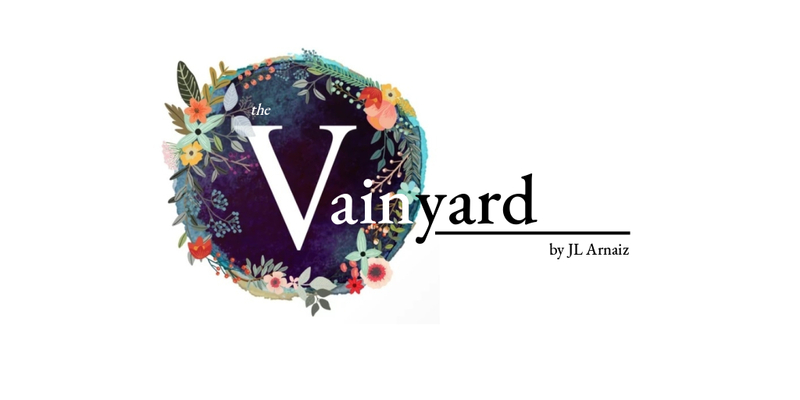 The Vainyard by JL Arnaiz is created originally as a fashion journal. It was born in 2012 featuring JL Arnaiz’ personal looks and fashion choices. In 2016, The Vainyard by JL Arnaiz started covering Cebu based events related to fashion, food and lifestyle (see https://jlarnaiz.wordpress.com/category/events/) with the help of Cebu Fashion Bloggers Organization. The Vainyard by JL Arnaiz also attends press conference and writes reviews for fashion and other related products and services. On 2016, The Vainyard by JL Arnaiz was nominated for the Best Cebu Style Blog Category by BCBA. Aside from a Fashion and Lifestyle Blogger, Joymie L. Arnaiz is an Industrial Engineer by degree, Hotelier by career and a Writer by heart. From Cebu City, Philippines, JL Arnaiz was the writer behind www.manilamodeling.com/blog and www.cebumodeling.com/blog in 2015. She was also a contributor in http://www.wowamazing.com which features trending and heartwarming stories and in www.amazon.com writing blogs for amazon fashion lines. Currently, JL Arnaiz is a member of Cebu Fashion Bloggers, an organization dedicated to help today’s bloggers become competent, responsible and trustworthy social media influencers. thanks adeline! love your creativity as well! I like your blog name…very creative! You are very welcome, love! Hope you check out my blog! Hi dear. I really love your style. You have great fashion ideas! 🙂 Your blog looks pretty cool to me as well.